From November 6-10, 2009, I traveled to Montreal, Quebec, Canada to attend the Annual Meetings of the American Academy of Religion (AAR). In addition to presenting my book on a panel about World Christianity, I also visited the community in Montreal where I did my research, Notre Dame d’Haiti. At the AAR, I attended many sessions, including one on the history of religion in Quebec, one on inter-faith dialogue in Canada, one on the Bouchard-Taylor commission (a study of accommodating immigrants’ ethnic and religious diversity in Quebec) and one on understanding secularism today (which included presentations by Charles Taylor, Jose Casanova, Craig Calhoun, and Saba Mahmood). 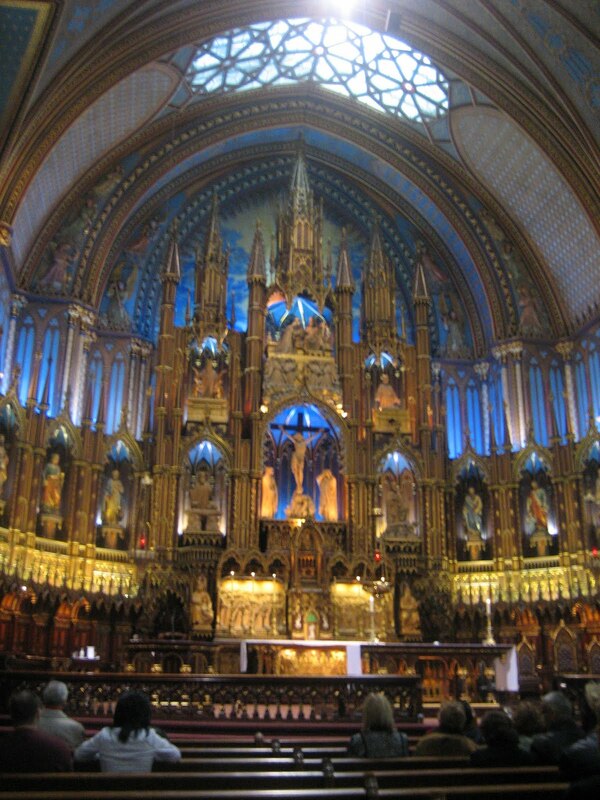 The picture here is from the altar of the Basilica of Notre Dame in Old Montreal. Due to Quebec’s rapid secularization since the 1960s, there is growing concern about preserving the cultural heritage of churches such as this one that have many fewer parishoners than before.